For over 20 years, CSJ has produced a unique line of natural dog feeds, herbal supplements, and treats, specifically for active and working dogs. 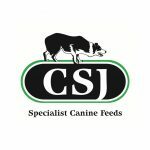 A UK-based company, CSJ has grown to be the first choice of many of the top dog handlers in agility, canicross, disc dogs, flyball, gundogs, heelwork to music, sheepdog trials, sleddogs, working trials and obedience. CSJ has launched a YouTube series of sheepdog trials – ‘A Way with Dogs’. Series 2 of ‘A Way with Dogs’ will launch in early 2019. Subscribe free to CSJ YouTube channel and watch top dog handler films in every sport. 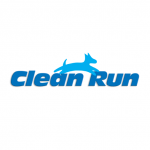 Clean Run produce the largest agility training magazine in the world. They also provide a variety of unique, high-quality products for people who are active in canine performance sports as well as their dogs. 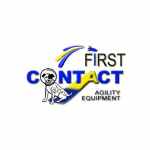 Official Equipment Supplier to the 2019 World Agility Open. At the forefront of developing world class dog agility equipment, with your dog’s safety in mind. Because only the best is good enough for your dog. Doggie Solutions offer a wide range of products including, Dog beds made in the UK, Dog Toys, Dog Crates, Puppy Pens and Puppy Cages, training aids and much more. 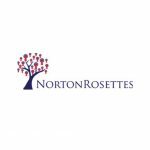 Norton Rosettes are a UK based company who hand make all their products in Cumbria. They provide rosettes both nationally and internationally. As an agility organization, what UKI has to offer is unique! 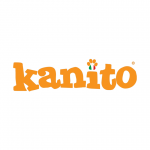 Their aim is to continually strive for the betterment of agility competition and training for all dogs. They also aim to provide trials at which all competitors – whether they are weekend ‘just-wanna-have-fun-with-my-dog’ enthusiasts or die-hard professional agility competitors – are catered for. 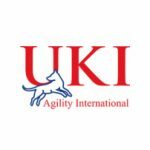 UK Agility International is run by Greg and Laura Derrett, two internationally recognised and renowned competitors and trainers. As competitors and trainers they understand the need for quality events that encourage excellence in competition but also the environment that encourages good dog training practices where dogs can be rewarded for correct behaviour. They have used the years of agility competitor needs and their strong understanding of the advances in dog training, to design the ultimate in agility competition and event running. Creators of the WAO app for Android and Apple. Download for free to get new and results about the event all day long. If you would like your products, services, and brand associated with this prestigious, international agility event, please contact us for a Sponsor Information Pack.